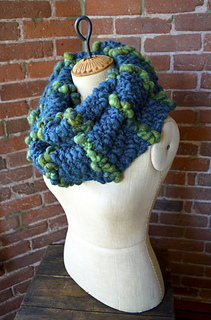 The Ellie Cowl features a beautiful stripe detail of our Sister & Pixie Dust yarns. 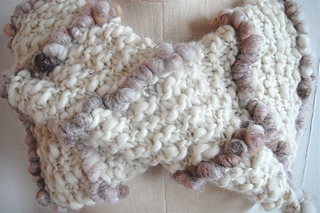 We love the natural colors, hint of sparkle and mix of different textures. 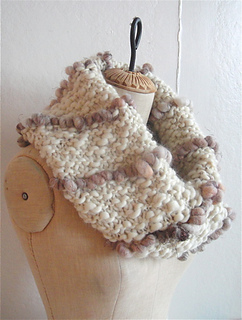 can be worn two ways, snuggly wrapped around your shoulders or folded and draped around your neck as an oversized cowl once. 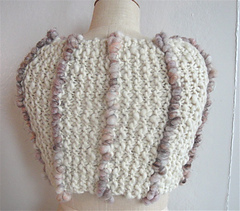 The second version is the long & skinny cowl option. 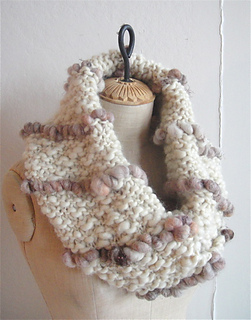 This cowl is skinnier but still chunky and will wrap cozily around your neck twice. 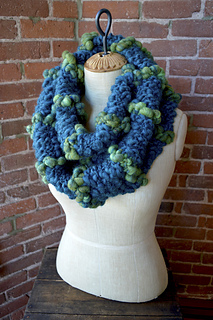 This version is shown in Dark Teal & Amazon Moss. 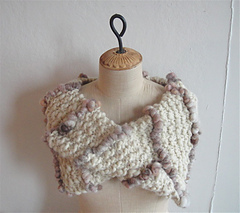 Both versions combines 2 skeins of Sister yarn (Soft Ivory or Dark Teal shown here) and 1 skein of Pixie Dust (Boho Blush or Amazon Moss shown here).